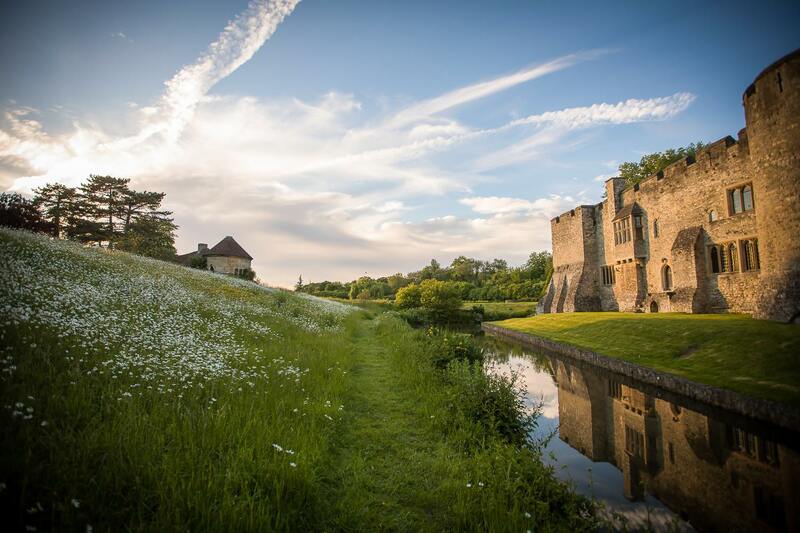 Allington Castle is one of Kent’s most exclusive wedding and civil ceremony venues and is available for hire for weekday and weekend weddings. Only a short distance from Maidstone town along the banks of the river Medway near Allington Lock, this beautiful privately owned castle is surrounded by a picturesque moat, manicured lawns and fountains and is set in 42 acres of woodland. Approaching the castle is via a causeway that splits a large lake flanked by beautiful gardens. There are many exciting features for your wedding photographs, including a lavender walk leading up to an Italian garden with a large pond & fountain rose arbour and temple. Whether you want a small intimate 3-hour wedding with a handful of guests or a full-day wedding that includes your ceremony, lunch and evening reception in our wonderful 17th-century barn with the castle in the background, we’re sure we can help make your dream wedding a reality. Please Note: Allington Castle is a private residence. We are NOT open to the public and that means you and your guests will not be sharing the venue with other visitors. Should you wish to consider our venue, please fill out this form and Kerrie will contact you within two working days. Unfortunately, we are unable to quote prices and availability over the phone.